Many of us want to greet the new year with a little shimmer. Not the covered with sequins look-at-me look of earlier eras – just a bit of sparkle that proclaims we’re heading into the New Year with with confidence and optimism. 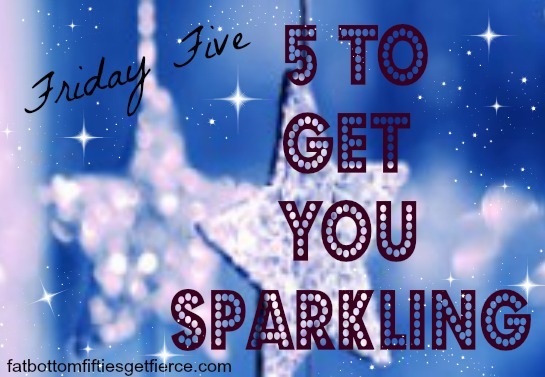 Here are 5 ways to add that extra sparkle to your New Year’s Eve look! 1. Tatoo jewelry. Foil bracelets add a temporary sparkle that can be washed off! This shows an expensive version because it was the best picture I could find of what the “jewelry” looks like. 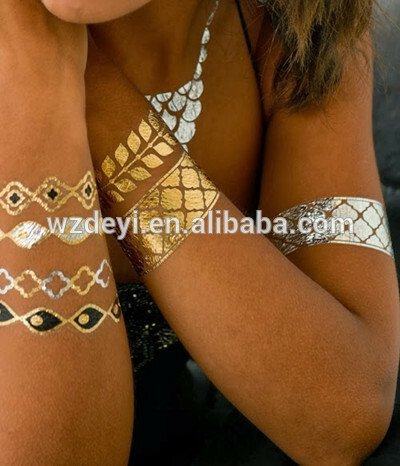 But I found lots of $12-20 options by Googling “foil tattoo jewelry”. 2. 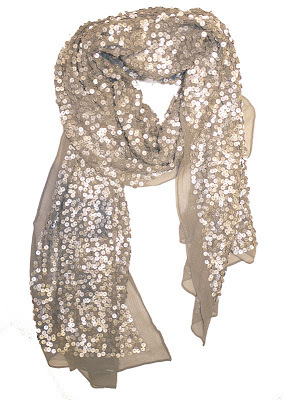 Sequin scarf. Wrap a little sparkle around your neck and let it reflect in your eyes! This one is by Rose and Rose, but you can find plenty of scarves with sparkle at your local big box stores, discount clothing and (of course) regular priced department stores. 3. 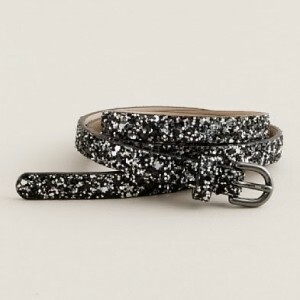 Belt with sparkle. Glam up any outfit by belting on a splash of sparkle. Belts can be found in a range of prices and styles from rhinestone cowboy looks to more formal shimmer at the same places you look for scarves. 4. Snowflake polish. Nothing finishes a look like a bit of glitter on fluttering hands that greet and treat family and friends. 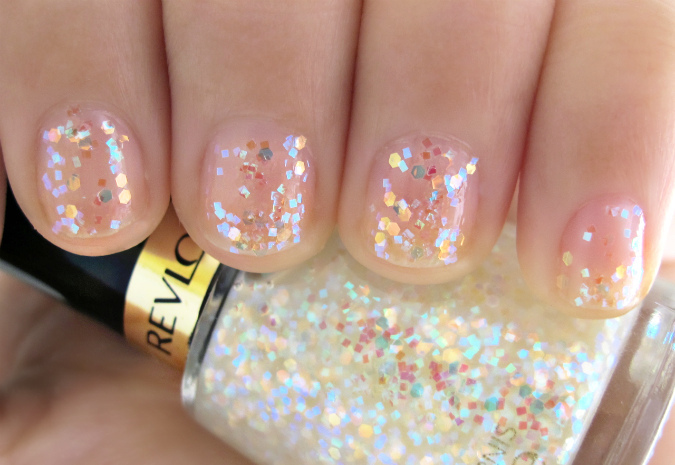 I liked this “Heavenly” by Revlon for a little glitz without calling too much attention to my short nails. 5. Sparkle ballet slippers. From your fingertips to your toes, you have your shimmer on. Dancing the night away – whether in your living room or at the ball – in these festive ballet flats let you sparkle without the toe-crimping pain that goes with high heels. 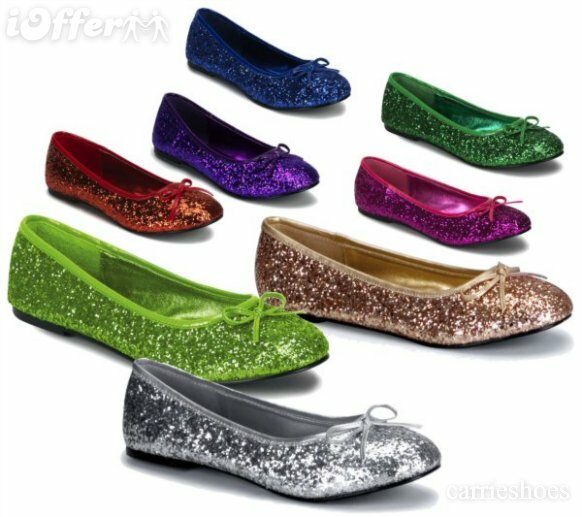 From JCrew to a costume supply store, glittery flats come in a range of prices. 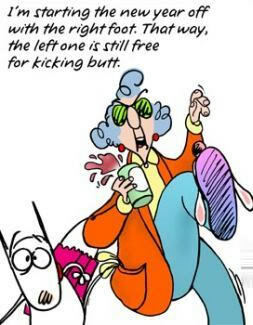 And, of course – let’s not forget to add in our sparkling personalities to the mix!